While a truck is one of the best ways to carry everything you need for work or for a weekend getaway, they aren’t perfect. Just by using your truck bed to haul gear, you’re going to damage the bed. Maybe you slide a toolbox into the bed after a long day and scratch the paint or, as you’re removing your camping equipment, you drop something that puts a ding or dent into the bed. However you damage the bed, once it start, it doesn’t get better. If you don’t do something about the damage, you could be dealing with an ugly, scratched up, rusted bed. There is a solution: a Line-X bed liner! 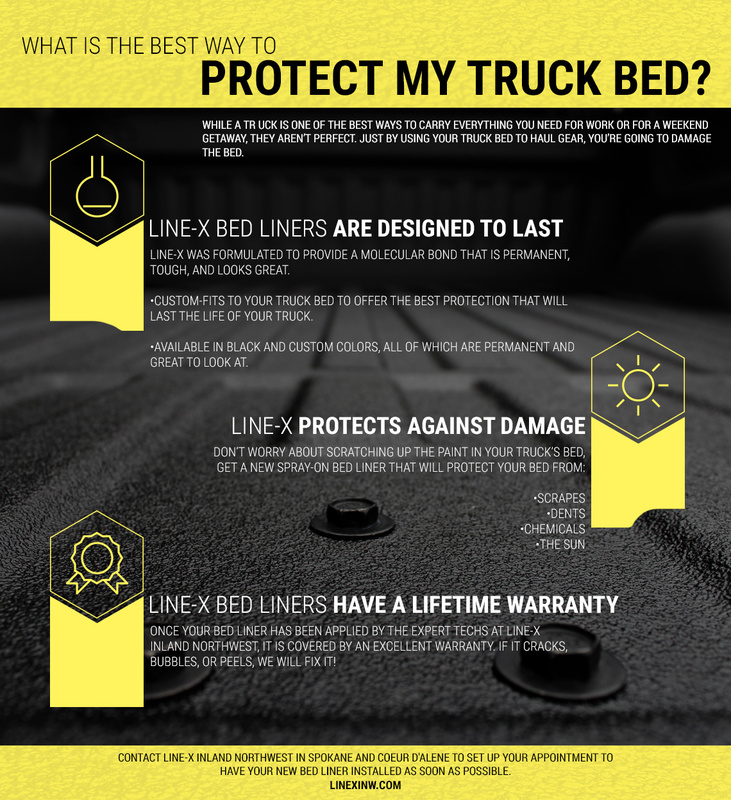 At Line-X Inland Northwest, our highly skilled and well-trained technicians know how to perfectly install a new bed liner that looks great and offers you protection from the sun, chemicals, scratches, and dents. The material forms a permanent bond with your bed that will dampen sound and vibrations, too! 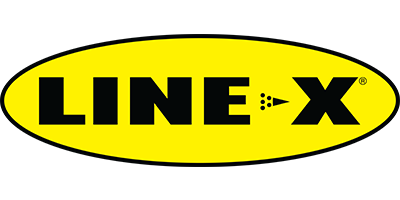 Contact either of our locations in Spokane or Coeur d’Alene for a free estimate on a Line-X bed liner or other truck accessories. Line-X was formulated to provide a molecular bond that is permanent, tough, and looks great. Our bed liners form a custom-fit to your truck bed that offers the best possible protection that will last the life of your truck. 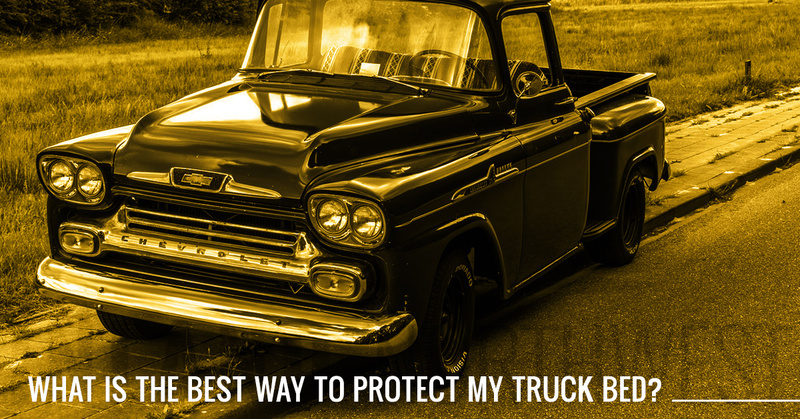 Because we know that you want your truck to look as great as it drives, this protective coating is available in black and custom colors, all of which are permanent and great to look at. The Line-X material is so revolutionary that it is nearly indestructible. Even if your truck experiences extremely heavy, rough use, it is almost impossible to break this bed liner. If you are trying to decide between a drop-in or a spray-on liner, ask yourself this question: do you want something that offers some protection or do you want something that will provide all of the protection that you could ever need? Contact Line-X Inland Northwest in Spokane and Coeur d’Alene to set up your appointment to have your new bed liner installed as soon as possible. If you need new wheels and tires, or any other truck accessories, we can help you out with that, too! When you trust Line-X Inland Northwest, you will have a truck that is just right for you.